1. Sharpening Skills. Practice, practice, practice. Whatever sharpening method you use that gives you good results, become a master at it. I talked here about how much I like my diamond stones. Steve recommends a buffing wheel for honing. I’ve used a buffing wheel for sharpening my carving tools, but haven’t made myself convert to using it for chisels and plane irons. A buffing wheel works fast and gives you a polished edge. 2. Proper Sanding. How many of us hate sanding? I do. But we need to slow down and do it right if we want the best surface for a finish. And that means working through the grits. Steve starts with a belt sander. Belt sanders scare me because it’s too easy to get distracted and the next thing you know you’re rounding over an edge, gouging the workpiece, or sanding through veneer. I follow the advice of starting with 100- or 120-grit paper, but a random orbit sander is usually all I need. Then I work my way up to 180-grit. I usually don’t go any finer than that if I’m applying an oil finish. That recommendation comes from General Finishes when using their Arm-R-Seal product. 3. Know Your Tools. What I mean is, know intimately how they work and how to fine-tune them for the best performance. That goes for hand tools as well as power tools. Maintain and tune-up your table saw periodically. 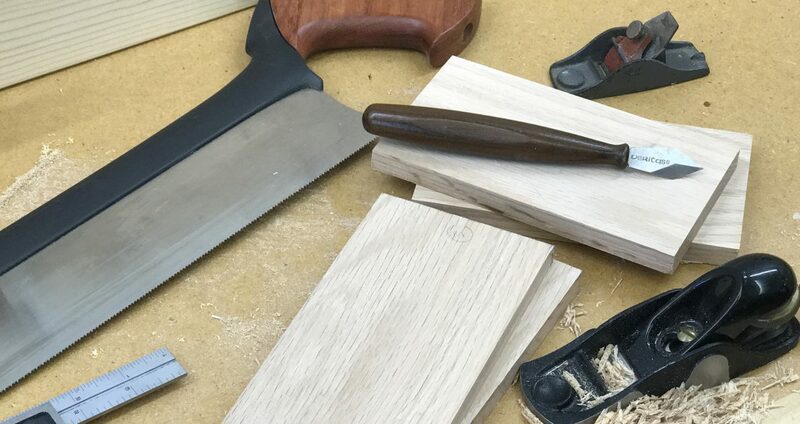 Make sure all of your chisels and planes are set up, sharp, and ready to put to use. Having to stop in the middle of a project to sharpen or fuss with a tool is a distraction you don’t need. Choosing tools and gear successfully is a lot like hitting someone with a snowball as they’re running. Unless you aim way ahead, you’ll always miss. The tools and gear you need tomorrow will almost always be more than you need now, especially if you’re a beginner. That’s why you should always buy better than you think you need. My only tool regrets have come when my snowball fell way behind the results I was aiming at. You need to buy for the ultimate woodworker you want to become, not the woodworker you are now. Also — and this is crucial — always let actual needs guide your tool investments. Struggle for a while with a process or situation, then use the insights you gain to invest in gear that actually meets the needs you face. You’ll buy smarter. Posted on January 5, 2015 January 5, 2015 by Randy MaxeyPosted in WoodworkingTagged craftsmanship, Repair, Tools, Woodworking.